Mi'kmaq Elder, Dr. Daniel N. Paul, C.M. , O.N.S. history, hopes, and aspirations of First Nation Peoples. I want to be throughly used up when I die, for the harder I work, the more I live. Life is no “brief candle” to me. It is a sort of splendid torch which I have got hold of for a moment, and I want to make it burn as brightly as possible before handing it on to future generations. Oh Great Spirit, whose voice I hear in the wind, hear me for I am young, small and weak. I need your strength oh Great One, not to be superior to my Brothers and Sisters, but to conquer my greatest enemy, myself. I seek wisdom, the lessons you have hidden in every leaf and rock, so that I may carry this message of life and hope to my people. May my hands respect the many beautiful things You made. May my ears be sharp to hear Your voice. May I always walk in Your beauty and let my eyes ever behold the red and purple sunset. So that when life fades like the setting sun, my Spirit will come to You without shame! This Site is dedicated to the memory of the Mi’kmaq who perished resisting the invasion of Mi’kmaq territory by Europeans. The awe-inspiring tenacity and valor they displayed in the face of virtually insurmountable odds has assured the survival of our Nation’s Culture! NON HEROS: Throughout the Americas, statues, parks, buildings, rivers, etc., can be found in abundance that are named to honour the memories of colonial Caucasian men who, when subjugating and dispossessing the Indigenous populations of the two Continents, committed horrific crimes against humanity . For instance, Nova Scotia British Colonial Governor Edward Cornwallis, who tried to exterminate the Mi’kmaq, is widely acclaimed with such. REAL HEROS: On Feb. 23, 1954, the first mass inoculation of children against polio with the Salk vaccine began in Pittsburgh, Pennsylvania. Dr. Jonas Salk, through his determination to overcome a deadly disease that ravished humanity for centuries, has saved uncountable lives, where are the statues, parks, etc., named after this great man? There should be a multitude! Dr. Daniel N. Paul, C.M., O.N.S. 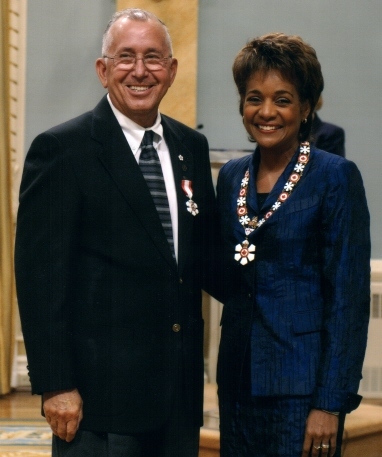 Second Medallion: ORDER OF CANADA. I was born December 1938 to my late parents, Sarah Agnes and William Gabriel Paul, in a small log cabin on Indian Brook Reserve, Nova Scotia, during a raging blizzard. I was the eleventh of fourteen children. The doctor arrived two weeks after the fact on snowshoes. I now reside in Halifax in semi-retirement with my wife Patricia. We have two daughters, Lenore and Cerena. Lenore and husband Todd have made us grandparents twice, Jenna and Julia. I also have a son Keith by a previous partner, whose children have made me a Grandfather and great-Grandfather many times over. DOCTOR OF LAW DEGREE - HONORARY: October 8, 2013, Dalhousie University. Awarded the Degree in recognition of lifetime achievements in the promotion of human rights, in particular those of the Mi'kmaq. ORDER OF CANADA: Named to the Order, November 17, 2005 - Canada's highest civilian award. Introduction statement at the Investment Ceremony, October 6, 2006. 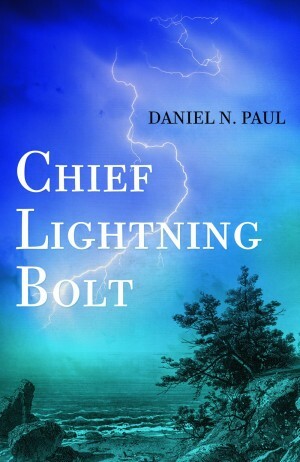 "Dr. Daniel N. Paul is a powerful and passionate advocate for social justice and the eradication of racial discrimination. As an author, journalist, consultant and volunteer, he has been an outspoken champion of First Nations communities across Nova Scotia for more than 30 years. The Nova Scotia Human Rights Commission, the Mi'kmaq Native Friendship Centre and the Confederacy of Mainland Mi'kmaq have all benefitted from his consensus building skills and commitment to the community. Through his newspaper columns and his book, We Were Not the Savages, he has helped to restore the proud heritage and history of the Mi'kmaq Nation"
ORDER OF NOVA SCOTIA: Province of Nova Scotia, October 2, 2002: - the Province's highest award for outstanding contributions, and for bringing honour and prestige to Nova Scotia. Certificate of Appreciation: Nova Scotia Department of Justice, June 2002: "On behalf of the Provincial and Family Courts and the government of the Province of Nova Scotia, this Certificate is bestowed upon Daniel Paul in recognition of your significant contribution to the justice system of Nova Scotia." HIGH AMONG the most appreciated honours that I've received during my career are the dozens of small items, letters, mugs, Eagle Feathers, etc., given to me by students as thanks for helping them better understand the importance of according all Peoples human dignity and respect. Until the fall of 1935 my father worked on the Saint John, New Brunswick, waterfront as a stevedore, thus a taxpayer. That year, because of depression related work shortages, he and many others were laid off. Unemployed, with a growing family to support, he had to apply for city welfare to assure the family's survival, which was granted. A white resident, viewing this as an affront to his warped sense of fairness, went posthaste to the city's fathers and complained bitterly that they were feeding a bunch of Indians. The fathers agreed with his complaint and reacted with the proper indignation of bigots. Thus, in late November of 1935, my parents and their five small children were rounded up and deported by the city council from Saint John to Indian Brook Reserve, Nova Scotia, a place they had never seen before. Upon arrival at Indian Brook, with little assets other than the clothes on their backs, and cold weather setting in, the Indian Agent gave them a roll of tar paper and told them to build a tar paper shack. Which they did, spending more than two years living in it before moving to the tiny log cabin where I was born. The reason I mention the circumstance about how I came to be born on Indian Brook Reserve is to provide an example of the extent of the racism that First Nations Peoples had to contend with at that time. Without any human and civil rights laws to protect us, we were at the mercy of a largely uncaring biased white Anglo society. Therefore, legal redress wasn't available. Factually, the justice system was used by society more to persecute than to dispense justice to us. From birth, as Indians, we were classified as "Wards of the Crown," and treated as third class citizens at best. We had the same legal status as drunks and insane persons. Beause of the humiliation that racial discrimination caused my family and other Mi’kmaq, and, for that matter, other minority groups in this country, I’m an ardent spokesperson and activist for human rights. For my efforts I’ve got some recognition. On October 2, 2002, the Province of Nova Scotia inducted me and nine other Nova Scotians into the Order of Nova Scotia. Premier John Hamm stated: "These people have been selected because of their outstanding contributions and for bringing honour and prestige to Nova Scotia." "He is a passionate writer who gives a voice to his people by revealing a past that the standard histories have chosen to ignore . . . By bringing new understanding and perspective to the past, he seeks to teach all people what damage racism can do." Although life was hard for us during my childhood, it wasn’t without fun and rewards. I began to hunt, fish, and trap when I was about eight. I also sold the Star Weekly, Liberty Magazine, seeds, greeting cards, painted insides of houses, and pursued any other means to make a buck. This lasted until I left home for Boston in 1953. My initiation to Boston was something else! As this is not intended to be a full bio, I’ll just relate one incident of how a Mi’kmaq Hillbilly from the boondocks performed when he hit the big city. In your mind picture a scrawny skinny kid of 14, walking down the sidewalks of the Big Time, greeting all he met with a hearty "Good Morning." I still can recall the incredulous looks that said: "Is he for real!" Today, to keep myself occupied, in addition to my writing, I lecture in schools, run a small advisory business, write columns occasionally for the op-ed page of the Halifax Chronicle-Herald and other newspapers, am a Justice of the Peace for the Province of Nova Scotia, a member of the Nova Scotia Police Review Board, a member of the Mi'kmaq Governance Committee, Chair of the Council on Mi'kmaq Education, Committee of Canadian Genocide Scholars, and set on several nonprofit boards, etc. Over the years I've served on many provincial commissions. For examples, the Province's Human Rights Commission and the Nova Scotia Department of Justice's Court Restructuring Task Force. A sample of achievements: I've written five books and have been published numerous times in journals, human rights booklets and readers, school readers, newspapers, and magazines. My second book, We Were Not the Savages, 1993 edition (out of print), was first prize co-winner for nonfiction at the 6th Annual City of Dartmouth Book and Writing Awards in 1994. It was on the Nova Scotia bestseller list for seventeen weeks. It inspired a play entitled Strange Humours. A fully revised best selling twenty-first Century version was published October 2000 (out of print) by Fernwood Publishing, Halifax. 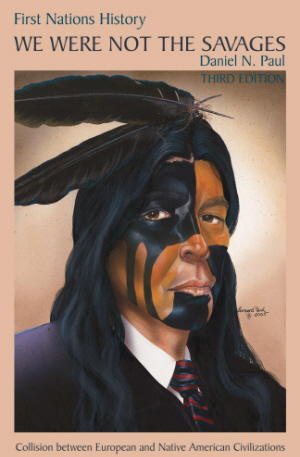 In 2006, Fernwood published a new updated edition entitled: First Nations History - We Were Not the Savages - Third Edition We Were Not the Savages. The three editions have been cited as a reference in many books, articles, etc. The new version is now being used as course material in several universities and high schools. It is the first such history ever written by a First Nation citizen. Also, I started a collection of Mi'kmaq artifacts at the Confederacy offices that include ancient arrowheads, axes, dolls, snowshoes, and so on. And, founded the Mi'kmaq/Maliseet Nation News. While Executive Director of the Confederacy of Mainland Micmacs, I established, with the able and professional assistance of the late Kathy Knockwood, what has been described by education professionals as "a first class post-secondary education Program." The rules and regulations of the Program that we developed have been adopted by many similar organizations across the country. We had great success. After implementing our Program registration of students from our six bands in post secondary education facilities went from approximately 20 to more than 200 students within three years. In my role as the Department of Indian Affair's District Superintendent of Reserves and Trusts for Nova Scotia, I took the lead role in overcoming the bureaucratic nightmare surrounding an addition to Yarmouth Indian Reserve. Also, I headed up the successful efforts to resolve other reserve land addition matters, disputed right-of-ways of various natures, decades’ old estate problems, and so on. In addition, we acquired road right-of-ways into reserves that had not been provided with such. Resolved favourably, on behalf of the Chapel Island and Millbrook Bands, illegal encroachments by NS Power upon their respective reserves. Both Bands received considerable monetary compensation. Instigated and headed up the successful effort to resolve the Afton Band's 170 year old Summerside property legal claim. The property is now a Reserve. I worked for 11 years on the legal case which saw the Pictou Landing Band's claim known as Boat Harbour mostly resolved. This claim centered around the use of the Harbour as a lagoon for the industrial waste spewing forth from the Scott Paper mill at Abercrombie. The Band eventually settled for $35 million plus. My book, "We Were Not the Savages" relates in more detail the before mentioned. During my term as Executive Director with the Confederacy of Mainland Micmacs I instigated a drive which raised approximately $3 million for a new community centre for Indian Brook Reserve. Since it opened the Centre has become a major source of revenue for the band. Also, I started a trust fund, during my employment with the Confederacy, which was set up for the specific purpose of addressing the future legal requirements of the six Bands associated with the organization. When I retired from CMM, January 1994, the fund had a balance of $140,000. This was the first undertaking of this nature by a First Nation organization in the Atlantic provinces. Without remuneration, except for some travel expenses, I’ve been featured in videos prepared by a Public Broadcasting T.V. station and by Mount Saint Vincent University, CBC TV and radio, etc. The subject were the life and times of the Mi'kmaq and the racism they faced and are still facing. In 2001 was featured in two videos, "Growing Up Native" by CBC and EASTERN TIDE's "Expulsion and the Bounty Hunter” by Bear Paw Productions." The accomplishment that I'm most proud of is that I've lobbied successfully to have names of buildings, roads and so on, that were named in honour of colonial officials that brutalized the Mi'kmaq, changed. "When the White man came we had the land & they had the Bibles, now they have the land & we have the Bibles."